Author Ralph Dennis began the 'Hardman' series in 1974 with "Atlanta Deathwatch". The book would kick-start a beloved 12 volume run of detective novels. Dennis used racy Atlanta as the backdrop for his two crime-fighters - Jim Hardman and Hump Evans. Recently, author and genre enthusiast Lee Goldberg acquired the publishing rights to 'Hardman' for his imprint, Brash Books. 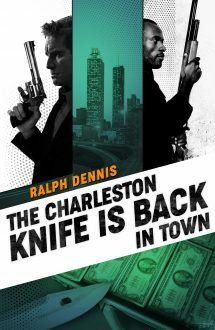 “The Charleston Knife is Back in Town” starts with the obligatory heist. This time Hump Evans is invited to a posh neighborhood for a little gambling party post-prize fight. Once there, he's escorted by gunpoint to a dark room sans his $700 of WAM (that's slang for Walk Around Money). After the robbers leave and the cops arrive, Evans embarrassingly shows up at Hardman's house to explain his night's turn of bad luck. It turns out that the gambling festivities involved many underworld honchos – all taken for over $700K in assets. Heads will roll. Soon, Hardman and Hump are contacted by a friend's sister with a possible connection to the heist. She fears that her young nephew was behind the robbery and may be a mob target. Our two detectives accept some payment and learn that the mob is coming down hard on the robbers. They have big money in place with a demand that the heist crew be taken down...real messy. The novel is a smooth and calculating read as Hardman and Hump navigate whore houses, strip clubs and dives to track down the robbers before the hired slasher. This series, and its second installment, showcases this Atlanta author's penchant for the crime noir. Building the novel around the heist is a vintage staple, but the spin here is having the protagonist attempting to save the crook. The sense of urgency increases with each chapter as the hired killer devours the clues. 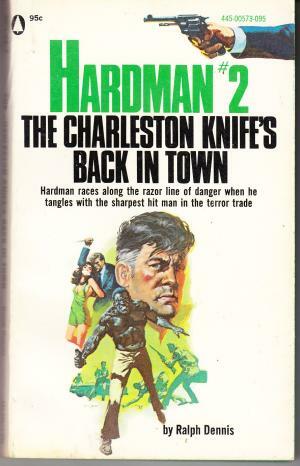 Ultimately, you know Hardman and this knife-wielder will face off - but it's how and where they meet that makes for an intriguing development. Kudos to Ralph Dennis, and Lee Goldberg, for recognizing what makes the detective formula effectively click. This is a mandatory read. Ed Noon #14 - "Lust Is No Lady"